I had a ridiculously busy day, and now find myself alone for an hour, and hungry! In a large non-stick skillet set over medium-high heat, heat the oil. Add the garlic and cook until golden, 30 seconds. Add the tomatoes, and season with salt and pepper. Reduce the heat to low. Simmer, covered, until the tomatoes soften, 10 minutes. 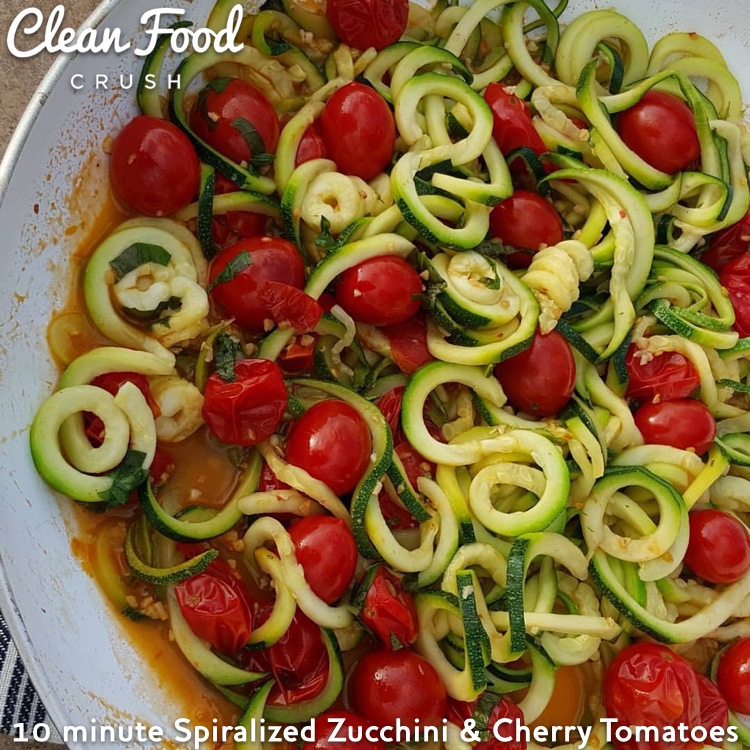 Increase heat again to medium-high, toss in the zucchini noodles and basil, season with sea salt and cook 2-3 minutes. Garnish with more basil & parmesan cheese if desired. Reduce the heat to low. Simmer, covered, until the tomatoes soften, 10 minutes.